Why Accountability a la Mode?? | Think the Unthinkable Future. Why Accountability a la Mode?? 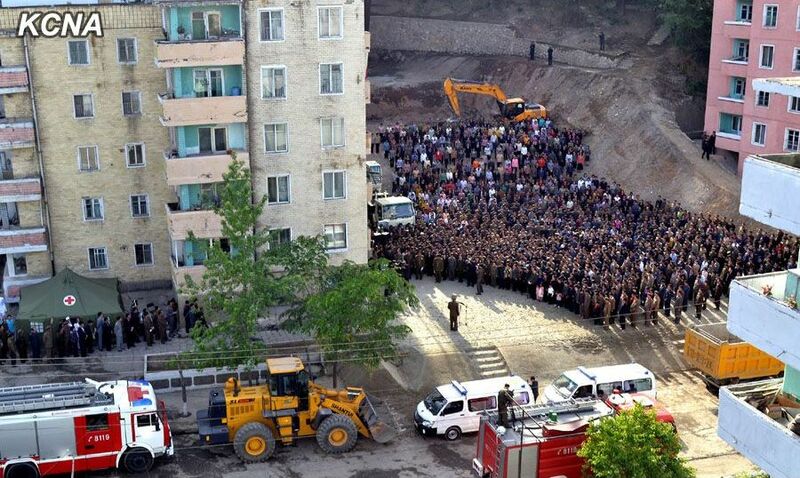 While Japanese major media obviously disregarded, the KCNA, state-owned news agency in DPRK, reported that the person in charge officially apologized to the public for having made mistaken in construction of a building, which had collapsed with hundreds of victims. As far as I know as former desk officer for DPRK affairs in the Japanese MOFA, this is the very first time that the authority in Pyongyang admitted its failure in such a large scale publicly. Its unique communism called “Juche ideology” is normally understand in such a way as the authority always does the right things and take no responsibility for what its has done. However, the leadership in DPRK apparently changed the direction and begun to seek accountability a la mode. – Obviously, Kim Jong-un has just started to gradually show the difference of his leadership from his farther’s. For example, he recently visited an air drill competition with his wife, Ri Sol Ju by plane. 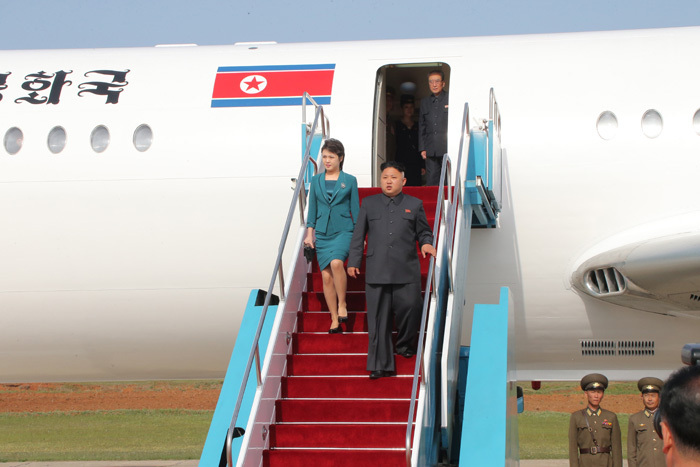 In the era of Kim Jong-il, he hardly used air plane officially. Of course, this is still just an example. But you might know how tough a son must be when he tries to cut traditional ties with his own farther. – The propaganda called DPRK’s project for “Strong and Prosperous Nation” in 2012 is usually understood as commemoration of 100th anniversary of his grand farther’s (Kim Il-Sung’s) birthday. From my viewpoint during daily analysis of global-macro, the year “2012” was intentionally selected in accordance with possible significant sea change in the international community, which could have positively affect the status of DPRK among nations. The point is the world calendar was unfortunately changed a little bit for unknown reasons, so that Kim Jong-un needs another target year for his nation. The year “2015” is set for such a drastic change, while he reportedly ordered generals to prepare for breakout of final war in the Korean Peninsula (“Korea War II”). As professional analyst of global-macro, I fully agree with him to choose the year for this critical change, because the world order will be upside down next year. You will finally understand what I mean, when you’ll face “Japan’s Bubble” in the next year for example, which has been regarded as unthinkable so far. The above mentioned drama of “state accountability a la mode” is one of Kim Jong-un’s trials to prepare for this critical year. Everybody except for connoisseurs of global-macro believes DPRK will begin the fatal war to totally collapse. However, again, please keep in mind that everything will be upside down in 2015. The status of DPRK will be then dramatically changed while its state openess and transparency will be suddenly launched. In this regard, this drama is a kind of etude Kim Jong-un practiced at the final stage before 2015. You may still doubt what my adaptive unconsciousness tells you, before you will see results of diplomatic talks to be held on May 26 by Japan and DPRK in Stockholm. In order to get so-called “war compensation” from the GOJ, Kim Jong-un has to make a decisive compromise to restart official search for Japanese abductees. Based on the fact that this abduction issues was caused by his farther, Kim Jong-il, Kim Jong-un has to cut his traditional tie with the former. The terminology “state accountability” will play a persuasive role in this context. Last but not least, I’m wondering who gave such an idea to “Dear Leader” in DPRK. While having attended as panelist in the session “OPEN DATA” in the SPIEF 2014, other participants from the government of the Russian Federation enthusiastically explained how effective information disclosure and uploading of state data are to stimulate national economy. An unthinkable thesis flashed me that connected Russia and DPRK.